Woollyhugs > Latest.. > Past Projects > A Snug for Christmas. Phase 2 of our Snug project for looked after children. A Snug for Christmas. Phase 2 of our Snug project for looked after children. Having met with Tracy and the wonderful team at the Children’s Family Trust today to pass on our first collection of blankets to the ‘South Central’ group and hearing how much our Snugs will mean to their looked after children, we are keen to launch phase two – a Snug for Christmas. We shall need your help to achieve this and have yarn if you need, please message. Snugs for Christmas will go to children in the Midlands region, so throughout Birmingham, Solihull, Wolverhampton, Worcestershire, Herefordshire, Gloucestershire, Staffordshire and Warwickshire. Yet again we come with a very big ask! We are looking for 12 or 6 inch squares in the Snug palette or even whole blankets if this is something you would like to make. Collection dates – our next for squares and whole blankets, is Monday 22nd October 2018. We are aiming to make blankets for children (0-16years) who are being looked after within the Children’s Family Trust. The Children’s Family Trust work with these children aiming to give them stability and security through to adulthood, helping them achieve their full potential, with the ideal being fostered within a family for life. We would like to make these children something permanent, that they can take with them wherever they are. Yarn is Stylecraft Special DK – just this please, inc for any embellishments. Squares to be 12 inch ideally, or 6 inch if that is too much. Knit and crochet equally welcome. Beginner or more experienced crafters also equally welcomed. Please use a 4mm hook or needles. No blocking please, and please ensure you are knotting off very thoroughly when colour changing or finishing, leave a 6cm end and use a needle to sew it in. We are asking folk to avoid using a magic ring (crochet) to start as find that these don’t seem to always stand up to the pressures of wash and wear. Please read the list of colours in our palette carefully, the list is below. Squares to be single colour, multi colour, textured, whatever you like, they will be wonderful, thank you. 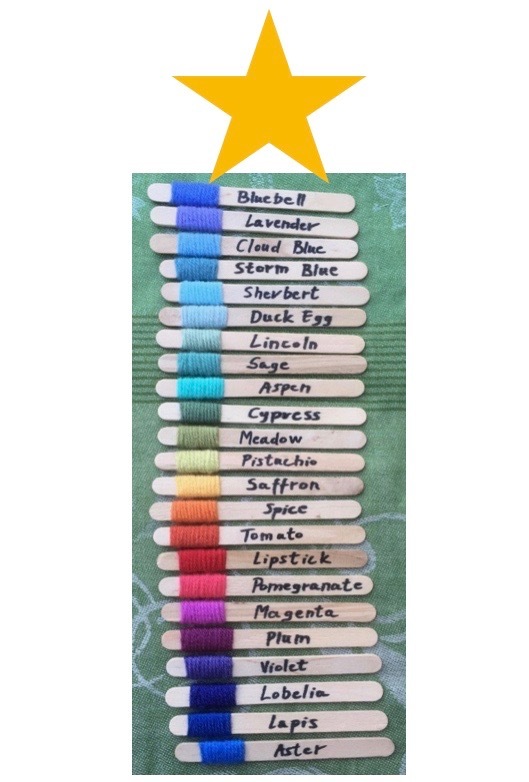 If you’d like to make a whole blanket, please use these colours too, makes thing easier at the giving stage! Whole blankets to be 48 by 60 inches, we would like them all to be single bed size no matter what age the child. Please message us if you need the postal address, but it will be the South Coast address.